Diablo provides PC based data acquisition and control for both third-party systems and Cosworth’s own range of high quality hardware. Diablo is designed to be highly modular, flexible and scalable to fit a wide range of applications. Designed with the demanding needs of the modern Formula One wind tunnel in mind, but equally suitable for many other applications, Diablo provides a high degree of test automation. Tests can be defined in advance, then automatically managed to run through the sequence of test conditions, controlling and co-ordinating sub-systems, whilst collecting the experimental data and logging it to PC storage. Data can be analysed while the test proceeds and performance metrics are written into a SQL database for post-test analysis. 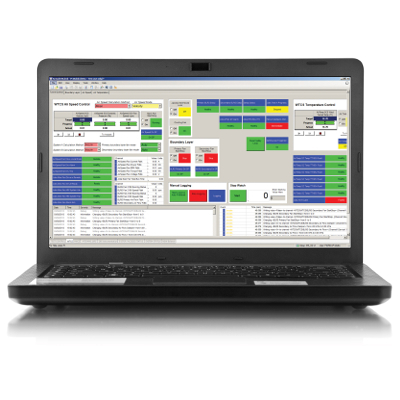 The Diablo Operator Console is a customisable worksheet-based user interface application with purpose designed controls and displays to simplify test control and provide targeted operator feedback. The Operator Console is suitable for modern multi-screen PCs, with the ability to define floating windows for each screen. In addition to supporting Cosworth’s own range of hardware, Diablo is capable of integrating third party hardware and systems, including EtherCAT(R) devices via TwinCAT(R). Diablo has proven connectivity to third party devices via generic UDP, OPC (OLE for Process Control) and CAN bus interfaces. Cosworth have also developed several interfaces for proprietary third-party systems to fully integrate tunnel systems into the Diablo control and acquisition environment.